Protests erupted in the streets of Cairo and other major Egyptian cities yesterday, calling for the ousting of the 30-year rule of President Hosni Mubarak. Protesters are hoping to share the same success protestors in Tunisia saw in recent weeks, but that may prove to be more difficult dealing with the Egyptian government and military which are much larger and stronger. 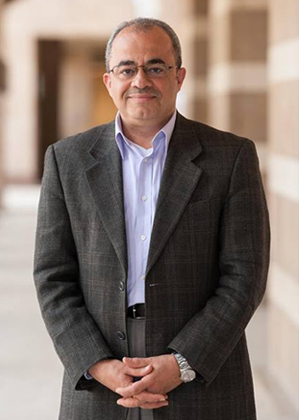 Emad Shahin, Henry R. Luce associate professor of religion, conflict and peace building at the University of Notre Dame, analyzes these protests and the Egyptian government. Egypt’s government is not the only one that worried about these public protests. Egypt’s current government are supporters of the U.S. and are an integral part of the United States’s involvement in the Middle East and the Arab world. A toppling to the Egyptian government could prove detrimental to U.S. interests in that part of the world, as many of the protestors are vehemently anti-American. Shadi Hamid, director of research at the Brookings Doha Center, and is a fellow at the Saban Center for Middle East Policy at the Brookings Institution tells us the impact these protests could have on the U.S., if successful.